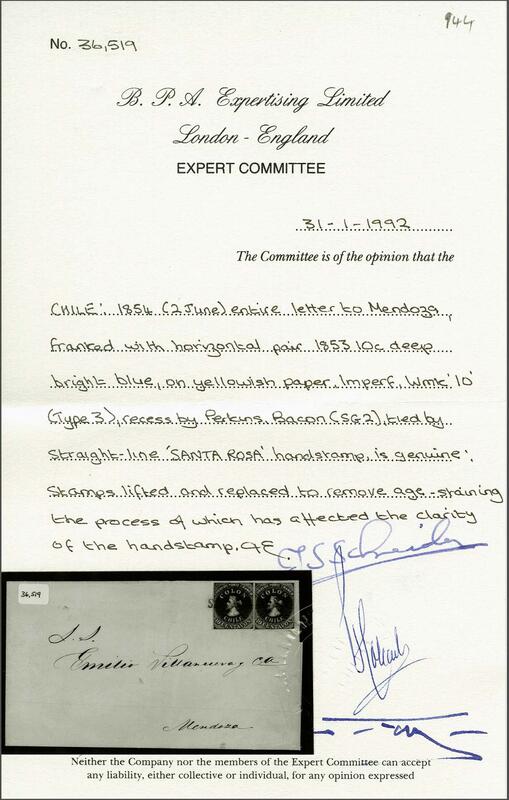 London Printing 1853 (July 1): 10 c. deep bright blue on yellowish paper, a close to large margined horizontal pair used on 2 June 1854 entire letter to Mendoza cancelled by SANTA ROSA straight line handstamp in black. The letter states that expenses are enclosed with manuscript notation of receipt (June 13) docketed internally. 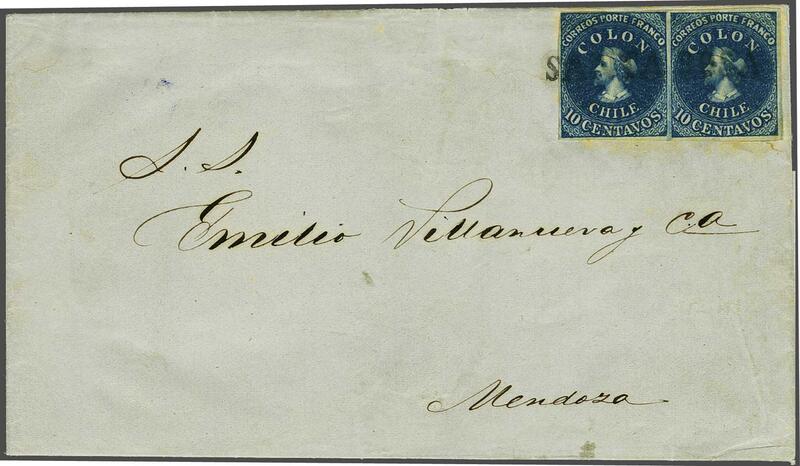 The rate to Argentina was double the internal rate, thus this cover is fully prepaid for a ½ letter. The pair has been lifted from the cover, cleaned and replaced, nevertheless an attractive and very scarce usage. Cert. BPA (1992) Gi. 2 = £ 500/Scott = $ 700+.rnProvenance: Collection Jean Dupont, Balasse, May 1981, lot 357; Collection Gerhard Blank, RL, Dec 1991, lot 944.